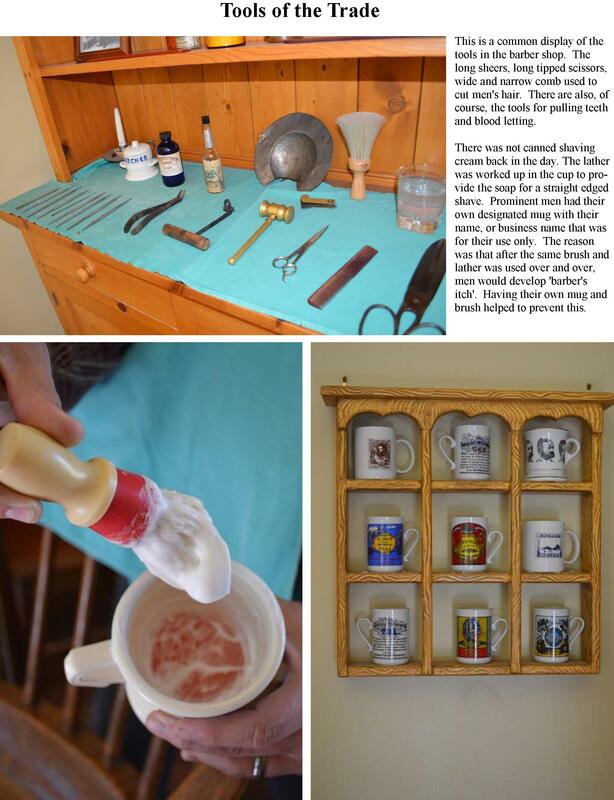 In the early 1800’s barbering was a trade that practiced more than just cutting hair. 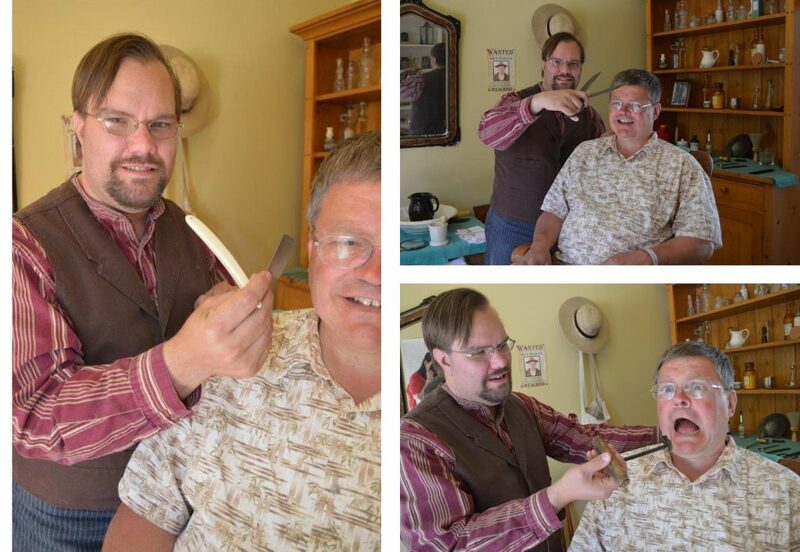 Imagine saying to your barber, “A little off the top and, oh, by the way, I have this toothache.” Come on in and visit – maybe have a tooth pulled, and give a little blood too! In the early 1800s barbering was a trade that practiced more than just cutting hair. That’s right, the town barber was also the town dentist. Not only did he cut hair and pull teeth, this fellow was also practiced in the skill of blood letting and curing infections with leeches. 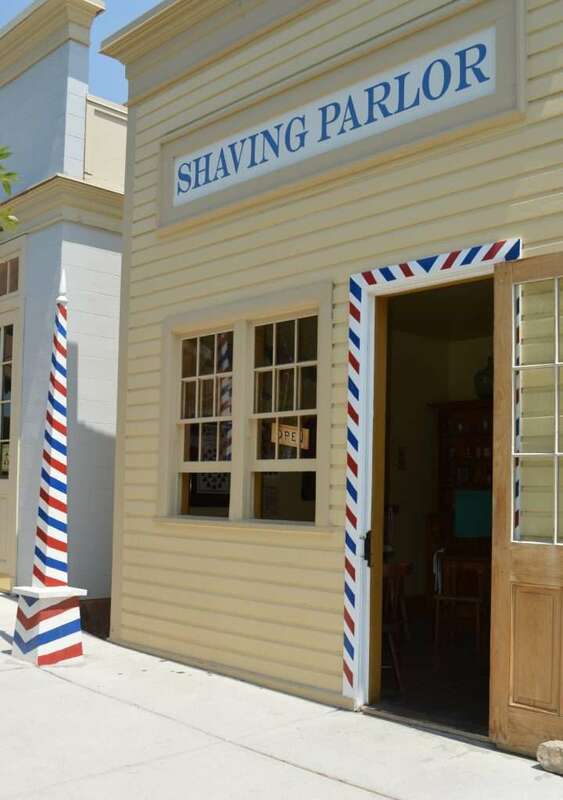 In fact, the red and white barber pole seen in front of barbershops originated sometime in the 1500s in England. 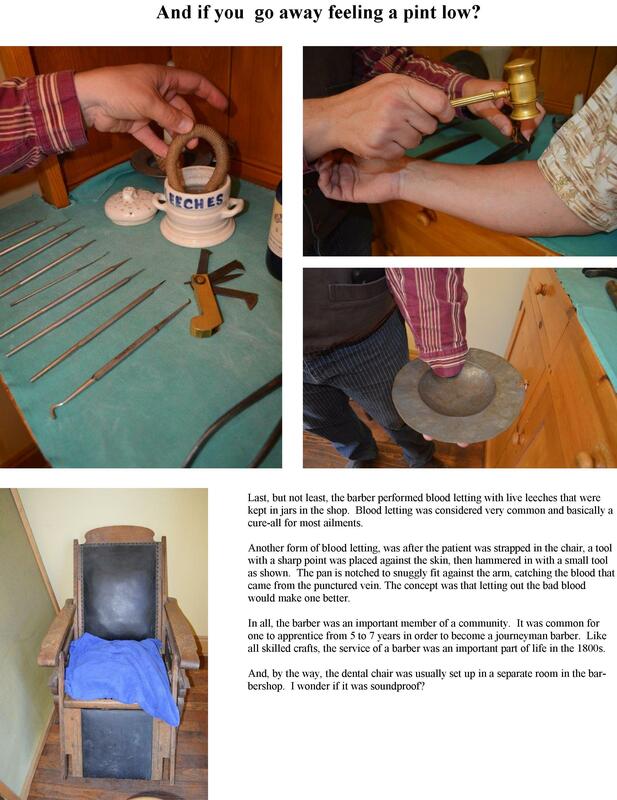 The red brass top was the vessel holding leeches, the red strip indicated that the practitioner did blood letting. The pole is what the customer/patient/victim would hold on to if a shot of whiskey wasn’t enough to ease the pain and the twisted red and white stripes represented the bloody cloth bandages that would be washed and hung out to dry. The bandages would often twist in the wind while they dried and somehow this symbolism all came together in the barber poles we see today. At some point, the red white and blue striped pole came into fashion, perhaps celebrating the national colors of the United States of America. It is amazing just how far things have come! I wonder what my dentist would think if I asked him for a haircut today? Would you like to know about the TINSMITH or the PRINTER or the MOUNTAIN MEN RENDEZVOUS or GAMES PIONEERS PLAYED – simply click on each title and you will find pictures and more great information! THANK YOU to This Is The Place State Park in Utah for the wonderful resources they share. Click HERE for their site.